It was a spur of the moment decision to have dinner at Chinched Bistro. Ideally, the restaurant never knows I’m about to show up. In this case, even I didn’t know until 10 minutes before I walked through the door. About four or five tables were in play when we arrived, so, Chinched wasn’t too busy; also, the chef, Shaun Hussey, was on deck. 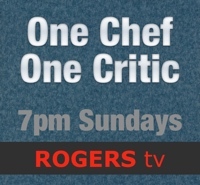 Although it shouldn’t make a difference I’m of the opinion that a restaurant’s food is better when the boss is in the kitchen. Chinched is pretty bland looking on the outside. Inside, the downstairs bar isn’t much more exciting. You need to be upstairs to get the feeling you’re in a viable restaurant. Some tables have banquette seating, allowing a few more diners to squeeze in. Many tables have only chairs and accommodate two people. A closet sized room at the back of the building’s second floor can handle about eight overflow customers. If there were no seats they’d probably serve you standing up because, like its owners, Shaun Hussey and Michelle LeBlanc, Chinched is very laid back. A chalk board listed the charcuterie items for the night. Cured pork loin called lonza and another version, Sella di San Venanzo, sounded more interesting than the chicken and country pâtés. Cheese offerings were somewhat intriguing: Eweusal, an artisanal sheep’s milk cheese from PEI, Avonlea Cloth Bound, Nova Scotia’s Urban Blue and the unexciting Manchego. Pay attention ordering, as the items are priced individually. Jars of special condiments like house marinated olives and house made pickles cost $8 and $5 respectively. Chinched sells pig ears. Cut into strips and deep fried, the porcine “fries” are tossed in Buffalo sauce and served in wax paper. It’s food truck fare. 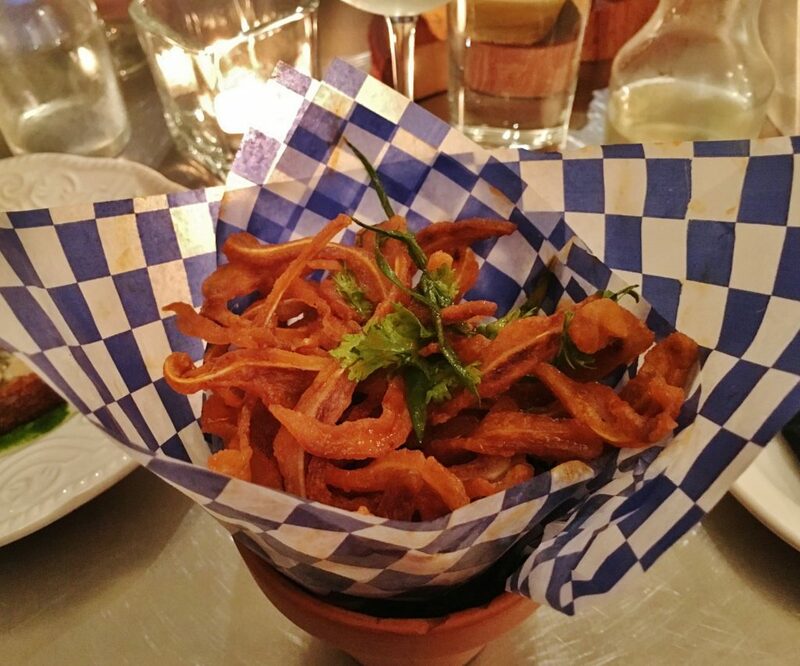 Unlike potato fries these pig ear fries get cold fast, so they must be eaten right away – despite the risk of getting red sauce all over your face. You can’t pick at them casually while having a beer and expect them to remain warm. Without the Buffalo sauce I’m not sure they have much appeal; but smothered in the familiar, spicy, tangy sauce the crunchy pig ear fries tasted good. Since the word bistro is in its name it’s not surprising the dishes served at Chinched Bistro aren’t feats of gastronomy. They’re mostly straightforward recipes (often featuring easily available, fresh, regional ingredients) cooked simply with a focus on developing rich flavours. A perfect example would be Chinched Bistro’s mushroom toast. 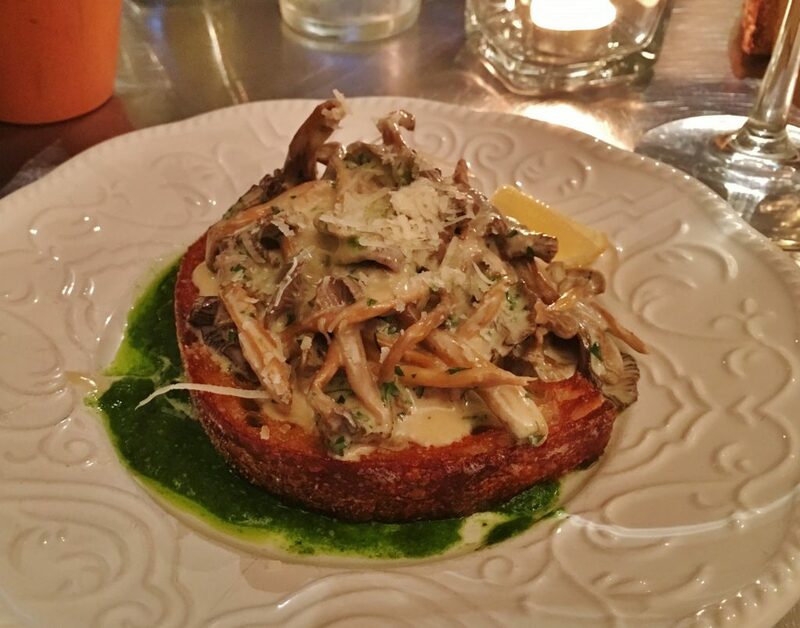 A thick slice of crusty bread was topped with sautéed chanterelles in cream, herbs and grated hard cheese. A spoonful of arugula pesto bordered the slice. Combining these particular ingredients wasn’t a new idea, although the arugula pesto may have been a novel touch, but achieving perfect, delicious balance was down to the chef. Hussey did it right. An elderly friend – she lived to be 98 – used to fry seafood in pork fat. It provided a certain extra taste that made the cod much more enjoyable. 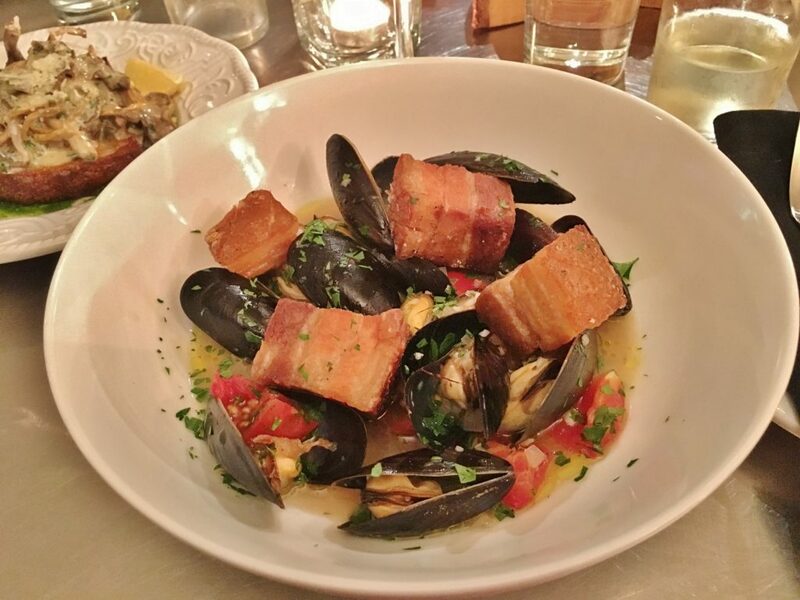 Although the large cubes of fried pork belly with mussels on the shell didn’t look like standard steak and shellfish surf and turf, if rice had been included, it would have appeared much like paella. Fresh tomato broth and fresh herbs further ginned-up this rustic, lip smacking bistro dish. Chinched Bistro’s regular menu contains more seafood than pork. It’s pork poor. Yet, although its pork charcuterie and fresh pork is sparse, Chinched seems determined to claim a pork theme – for example, the bistro’s logo features a curly pig’s tail and a pig drawing appears on the menu. Shaun Hussey has been doing his wonderful fried cod in potato wrapping for ages. I would argue that the potato wrapped cod is the restaurant’s signature dish. As you break through the thin, crispy golden potato the most succulent fresh cod confirms how beautifully prepared fish is supposed to taste. Charcuterie – because of health concerns over red meat and preserved meats – is losing much of its popularity. Why not celebrate your seafood Chinched? 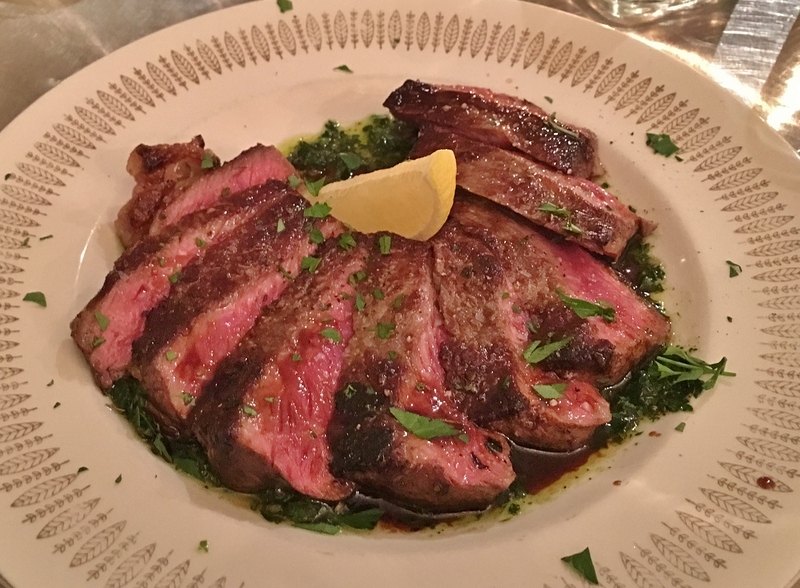 Striploin steak was offered in chimichurri sauce. The piquant, spicy, cilantro flavoured sauce worked well with the rare steak. It arrived, sliced on the bias, fanned out over the sauce. This type of dish may not satisfy those who like their steak whole and grilled with salt and pepper; but it can make for a toothsome change of pace. Two solid side dishes featured, first, beets, and another salt cod. If local beets have plenty of flavour the best way to enjoy them is without too much elaboration. I like them roasted in a little oil with salt and pepper. 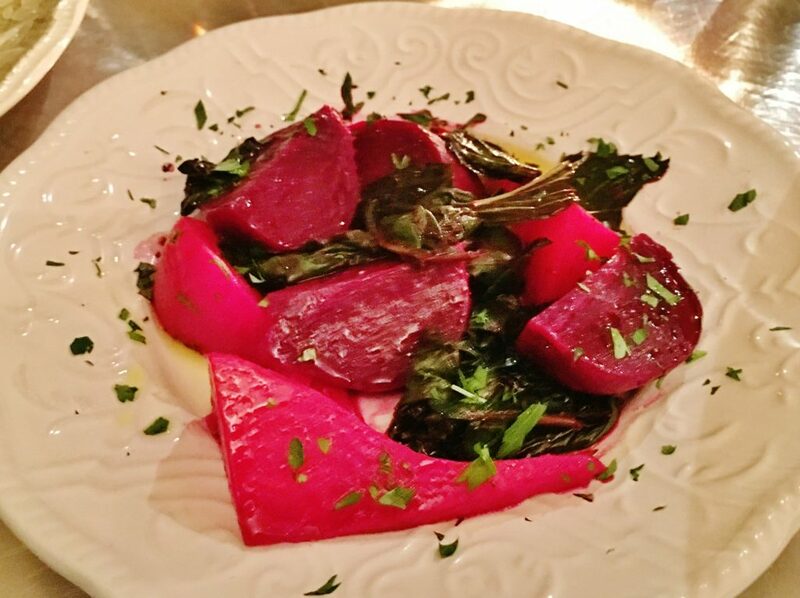 Chinched Bistro’s beets, cooked simply, quartered and served on a bed of greens, received a thumbs-up from our table. 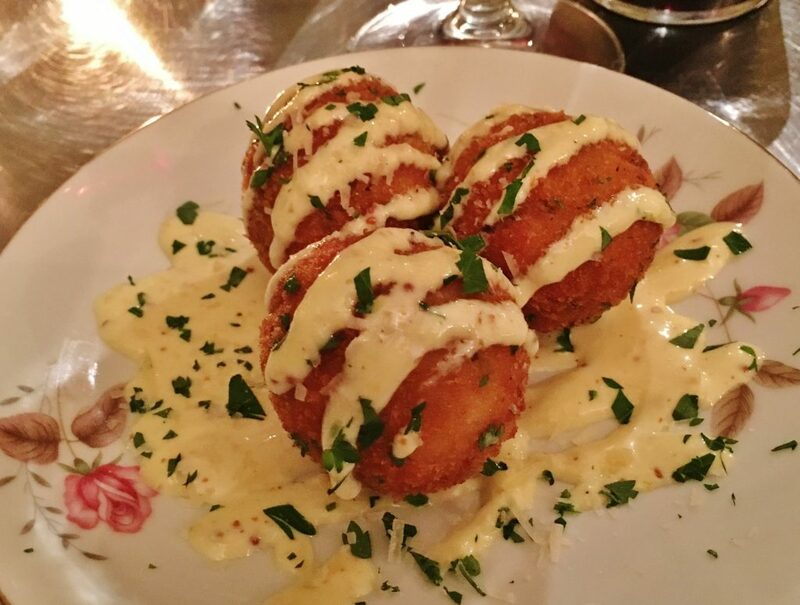 Salt cod croquettes are very much like salt cod cakes, except croquettes are breaded balls – not pucks – and are crispy on the outside and deep fried. My Chinched croquettes were drizzled with, and placed on, creamy garlic aioli. Like the pig ear fries, Chinched Bistro’s croquettes weren’t high gastronomy, but they were satisfying. Of the five desserts on the menu, including a cheese plate, I was torn between the strawberry shortcake and blueberry pie. The individual blueberry pie won the decision by a crumb. Michelle LeBlanc’s pie was handsome with its lattice top and scoop of ice cream, but it was less appetizing than it looked. The blueberry filling lacked intense flavour and the pastry wasn’t ideal. It was neither light nor flaky. It had been a few years since I’d dined at Chinched and, frankly, the experience this time wasn’t as enjoyable. 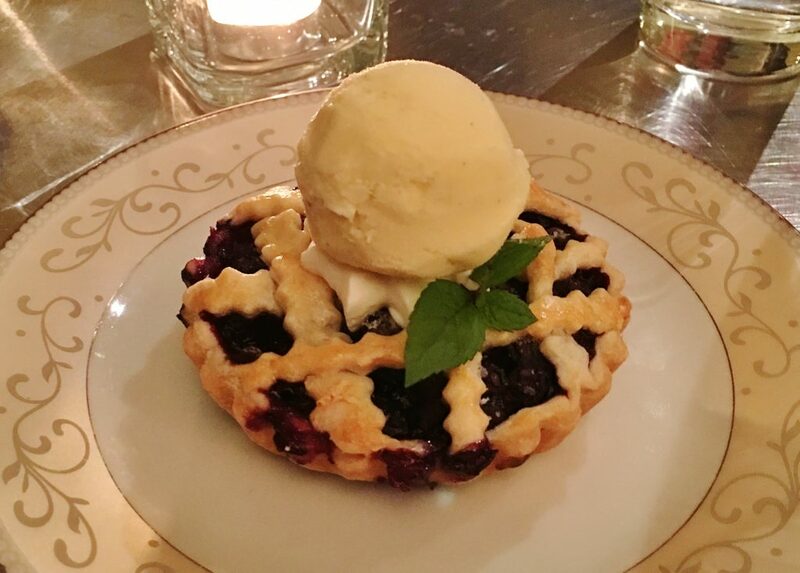 Dishes were prepared with obvious skill, and tasted – apart from the blueberry pie – excellent, but they weren’t presented with the degree of panache I’d witnessed two years ago. The menu is shorter as well. Gone are main options like steelhead trout. Service was efficient but some Chinched servers seemed a tad dour and distracted. Long time Chinched sous chef, Tyler Gallant, left many months ago. Perhaps that’s a factor. Gallant, now running his own seafood business in PEI, was a highly skilled chef. I had tasted Gallant’s first rate cuisine outside of Chinched Bistro. Losing him must have been a bit of a blow to such a small operation. Let’s hope that Chinched Bistro soon finds its way back to the zestful cuisine of days past. Price Dinner for two with wine, tax and tip costs (approximately) $180. Atmosphere Chinched Bistro is about as big as an oversized freight elevator, so, it feels a little cramped. By that I mean it can be uncomfortable if you like some distance between you and strangers. Beverages Chinched Bistro has a number of delicious sounding cocktails, both classic and new. 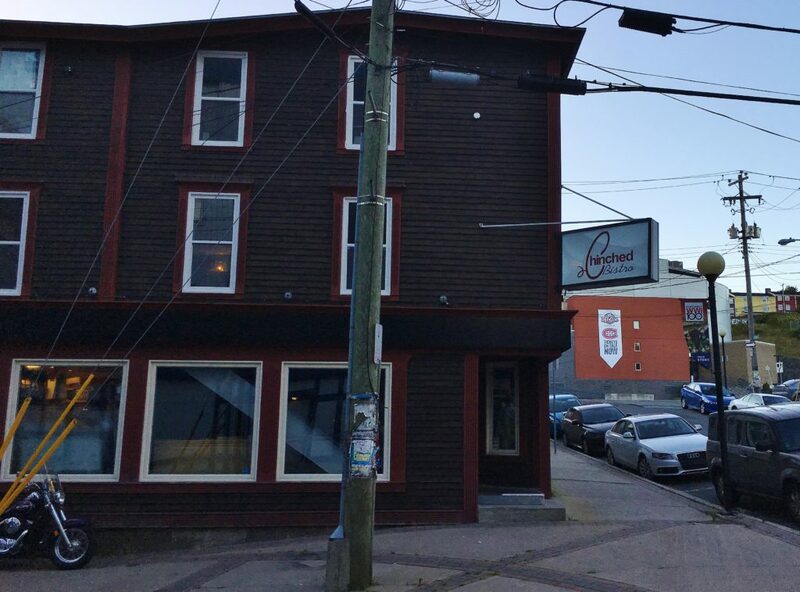 (One drink uses the controversial word for Newfoundlander in its title. Many Newfoundlanders (i.e. customers) find this word offensive. So why use it?) A small selection of beer and cider includes Chimay Trappist at $10 a bottle and Angry Orchard Apple Cider at $8 a bottle. Chinched Bistro features an even selection of wines from the Old World and New World. A couple of whites from Canada made the list: Nova 7 by Benjamin Bridge and Quail’s Gate Chenin Blanc. Three sparkling wines are listed. I think I chose the worst of them. It’s called Henkell Hungaria Grande Cuvee Brut and, to me, as a Champagne style wine, it is unparalleled in its awfulness.